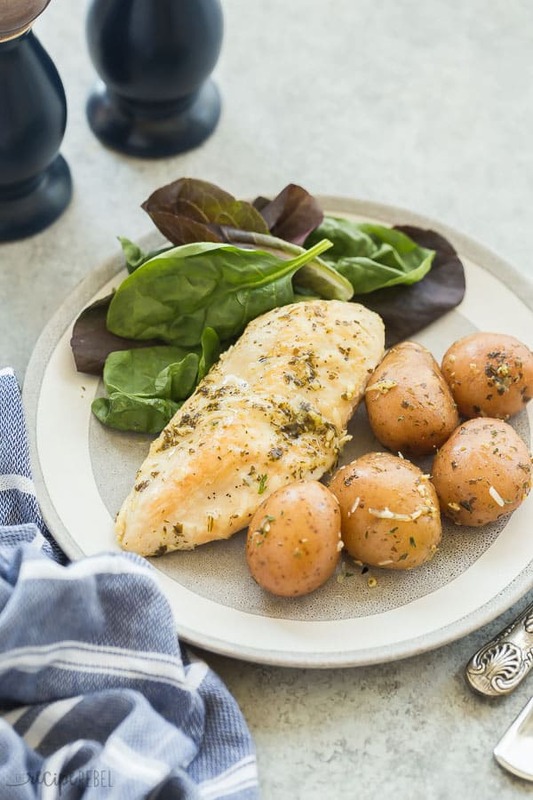 This Pesto Parmesan Instant Pot Chicken Breast and Potatoes is a healthy dinner recipe that is loaded with flavor and comes together in no time! Includes recipe video. I know, it’s a mouthful. We are in the thick of school craziness and gearing up for Thanksgiving (it is October 8th here in Canada) and holiday shopping and planning and just the general chaos that comes with a 6 year old, 3 year old and almost 1 year old who doesn’t ever sit still. A one pot, hands-off meal is where we are at these days. This Pesto Parmesan Instant Pot Chicken Breast and Potatoes has called my name a time or two before, and I’m never disappointed when I listen. It cooks quickly, and all at the same time, in the same pot. There’s no stopping or starting the pressure cooker (which can really add a lot of extra time as it has to come back up to pressure), and I don’t have to be concerned about any pots boiling over or hot stovetops or casseroles burning in the oven while I change my millionth diaper of the day. You can definitely add even more veggies to this dish, but I wanted to keep it simple, and serve with extra raw vegetables or a salad on the side because my girls actually prefer raw or a salad over cooked vegetables. 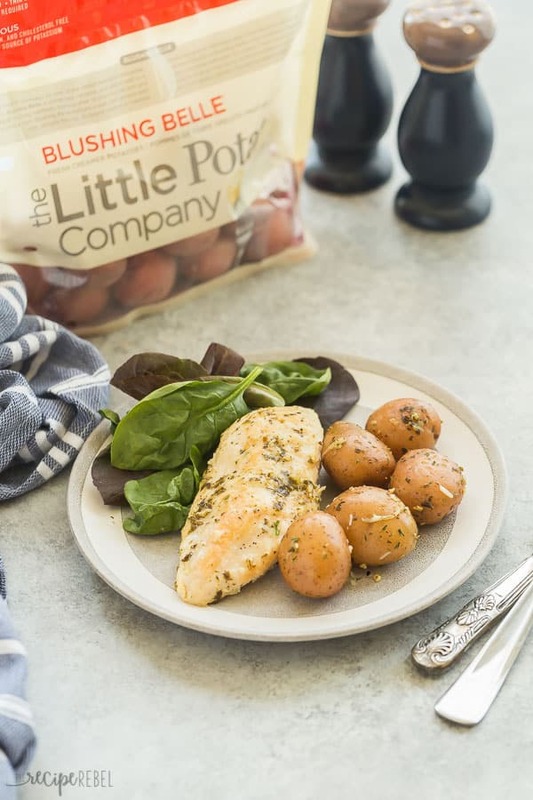 I used Blushing Belle Creamer potatoes from The Little Potato Company because they are smooth, and creamy, and there’s no extra prep like washing or slicing (which is a lifesaver these days since I’d probably have to do that one-handed). They are packed with protein, fiber, iron and potassium — all important things for growing girls! Didn’t plan ahead? 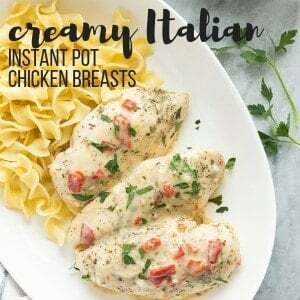 I also have a post on how to cook chicken breasts from frozen in the Instant Pot. Make sure that when you’re going to sear your chicken, you don’t move it until it moves easily. If you try to flip it before it’s ready, you’ll leave half of it in the bottom of the pan! You can absolutely use boneless, skinless chicken thighs for this recipe if you prefer — they swap easily and no other changes to the recipe are needed. If you want to have more of a sauce for this chicken, simply remove the chicken and potatoes when they are done cooking. Thicken the remaining juices with equal parts corn starch and water combined (I would start with 1 tablespoon each), and then stir in the pesto and Parmesan cheese. Turn Instant Pot to saute. When the Instant Pot says "hot", add the oil. Season the chicken breasts with salt and pepper on both sides. Place in the Instant Pot and sear on each side, about 3 minutes each, until it releases easily from the pan. (NOTE: you can absolutely skip this step but you will need to add cook time to your chicken, so I don't recommend it). 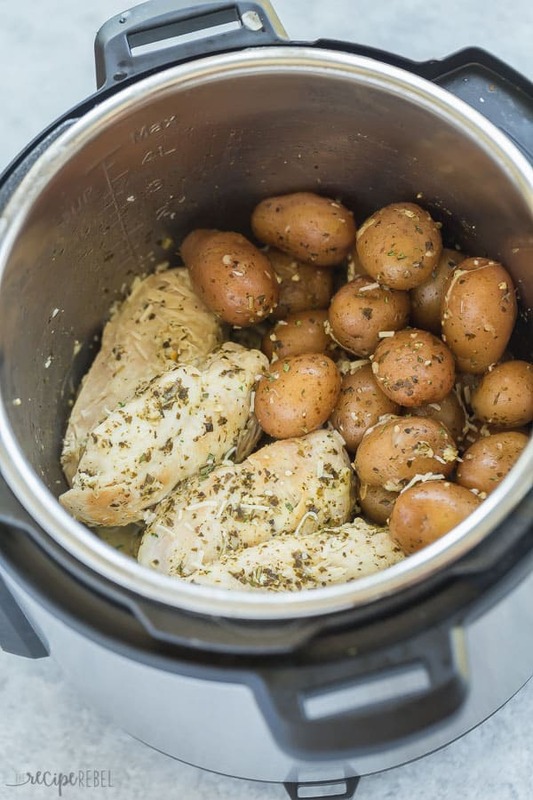 Add garlic, chicken broth, and potatoes to Instant Pot and sprinkle with salt. Put the lid on, turn valve to sealing, and select Manual or Pressure Cook for 4 minutes. 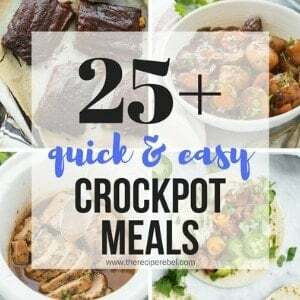 The Instant Pot will take about 10 minutes to build pressure and begin counting down. Once the cook time is over, let the pressure release naturally for 8-10 minutes and then open the valve completely. Drain the remaining liquid. Stir in pesto and Parmesan and stir to coat. Serve immediately. 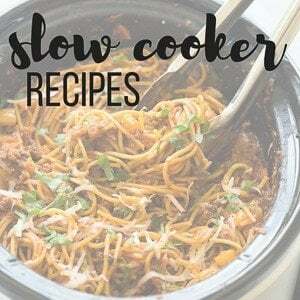 This was the first meal I made in the instant pot and it was delicious! I added in sliced carrots and my family loved it. Thanks Joanna! I’m so happy to hear that! I made this today and it was so delicious! I changed it up slightly, ever so slightly, and did the gravy as you noted above, fantastic! Thanks Melissa! So happy to hear that! This will be my first instant pot meal. Can I cook 6 chicken breasts in a 6 quart pot? Would I need to adjust any other ingredients? Definitely 6 will fit! You may want to add more of the seasoning but the liquid amount should be fine. The written instructions do not say to drain the chicken and potatoes before adding the pesto and cheese. Please edit. I seldom watch videos. I wondered when I added them to the pot, including the liquid! This is really good. I added carrots in too, so the complete meal was done in the instant pot. Husband went back for seconds & son five it high marks too. I will be making this recipe using only two chicken breasts at a time. Can I use two frozen breasts? If so, should I increase cook time and if so, by how much. Can I add a few carrots and onion slices to the recipe? You can definitely add veggies to this recipe! The only problem with using frozen chicken might be that it will need to cook 10-12 minutes, and your vegetables will be quite soft by then. You might want to either thaw and saute your chicken first or cook the chicken first, then open the Instant Pot and add the vegetables and turn it on for another 3 minutes. The video says to drain it but the directions don’t. Definitely drain the pot before adding pesto, after step 5 before 6. I didn’t. Sad day. 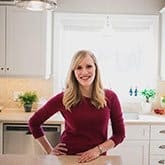 Hi, Love your recipes. Quick question on this one. I am familiar with your frozen chicken breast cooking method, but how does that work with the searing step. Can I sear frozen chicken breasts? I’m also not sure how to adjust the time.